The greater Mymensingh district was established in 1787. Later on it was divided into six separate districts, one of them being the current Mymensingh district. It is located to the north of capital Dhaka. It has a diverse landscape of valleys and hilly terrains.There are a total of 4 police circles and 14 police stations: Kotwali, Muktagacha, Fulbaria, Pagla,Trishal, Gouripur, Ishorgonj, Nandail, Fulpur, Haluaghat, Dhubaora, Goforgaon, Valuka and Tarakanda in Mymensingh. Support is provided by 2 police outposts and local investigation is carried out by 4 investigation centers placed throughout the district. 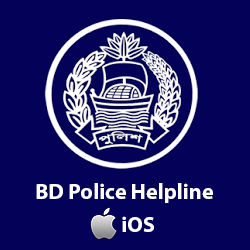 The police force in Mymensingh made huge sacrifices in 1971, with a total of 31 policemen being martyred by the Pakistani military. Among them were 4 Sub Inspectors, 3 Assistant Sub Inspectors, and 24 Constables. 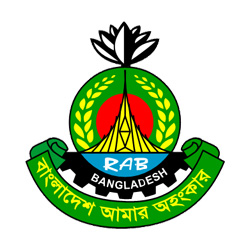 Established in 1984, the district is situated on the northern part of Bangladesh under Dhaka division. It is surrounded by Garo Hills of Meghalaya (India) on the North, Mymensingh on the east and Jamalpur on the west. 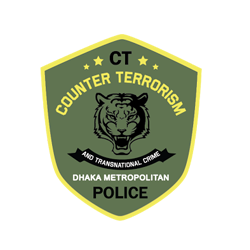 The district police started its journey in the same year with five police stations - Jhenaigati, Nakla, Nalitabari, Sherpur Sadar and Sreebardi; two outposts - Sherpur sadar fari and Gouripur fari; 1 investigation centre, one immigration check post. Jamalpur, with an area of 2115.16 sqkm, became a fully-fledged district in 1978 after being separated from the greater Mymensingh. Jamuna, the biggest fertilizer factory in Asia, is situated at Sharishabari upazila in the district. 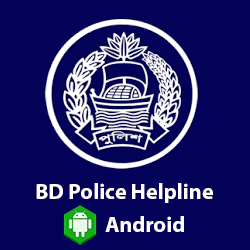 The entire community of the district receives law and order service from 08 police stations: Jamalpur, Melandoho, Sarishabari, Dewangonj, Islampur, Madargonj, Bakshigonj and bahadurabad, 02 outposts under 02 circles. The office of district Superintendent of Police(SP) is situated beside the sacred grave of Hazrat Shah Jamal (RA) and on the bank of Brahmaputra. Netrokona subdivision was established in 1882 and was turned into a district in 1984. It is situated in the northern part of Bangladesh, near the Himalayan border. Although the majority of the population is Bangladeshis, the presence of ethnic groups such as Garo and Hajong is also prominent in the district. The ethnic groups mostly live near Durgapur, around the Garo Hills. Presence of Garo Hills and places like Birishiri attracts quite a lot of tourists. The district police consists of 10 police stations including one model thana. Three circle ASPs are continuously monitoring and supervising all these police stations. These circles are: Sadar circle with 4 police stations, Barhatta circle with 3 police stations and Khaliajuri circle with 3 police stations as well. The police stations are Netrokona model, Purbodhola, Durgapur, Kendua, Barhatta, Atpara, Kalmakanda, Mohongonj, Madan, Khaliajuri.